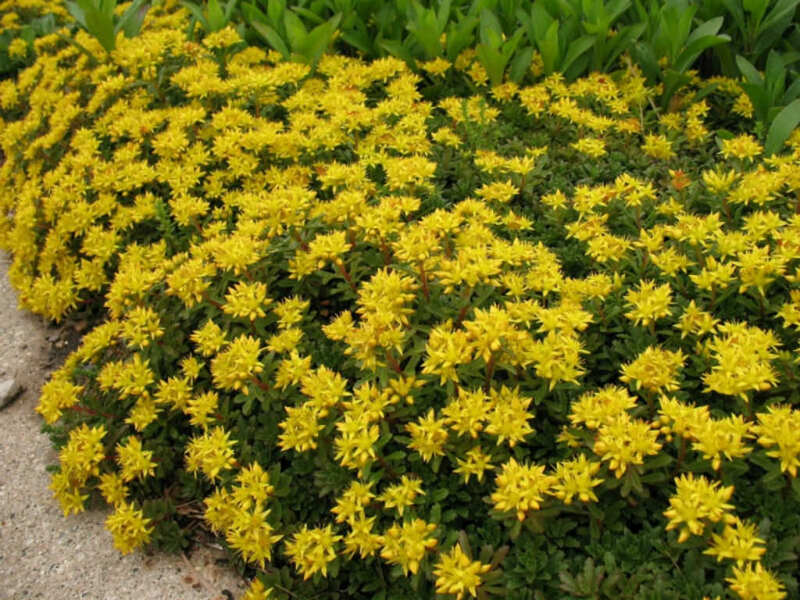 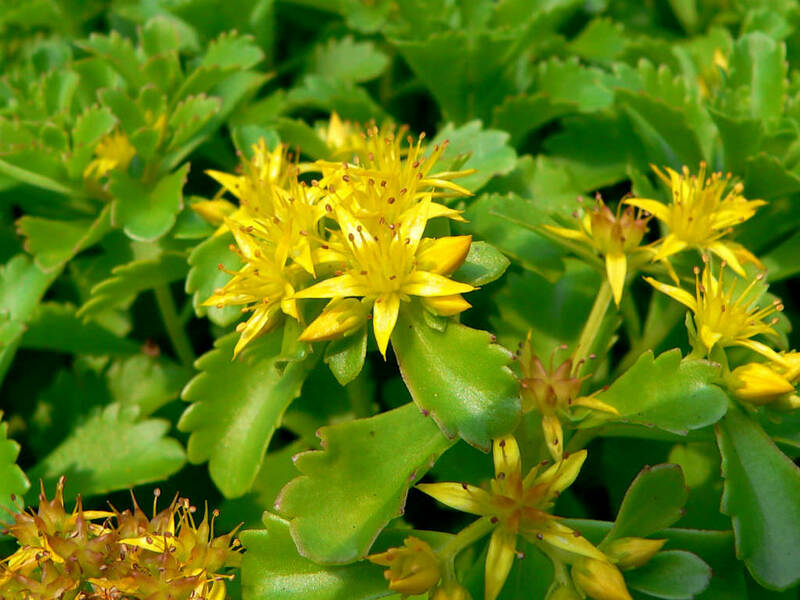 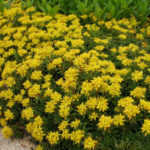 Phedimus kamtschaticus (Sedum kamtschaticum) is a compact low-growing ground cover that typically forms a foliage mat up to 6 inches (15 cm) tall spreading indefinitely by trailing stems up to 18 inches (45 cm) wide. 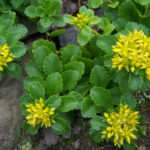 Leaves are thick, triangular, succulent, scalloped, spatulate to obovate, semi-evergreen, dark green, up to 1.5 inch (3.8 cm) long and are deciduous at the stem bases but tend to be evergreen at the tips.Clusters of bright yellow, star-shaped, flowers appear in summer. 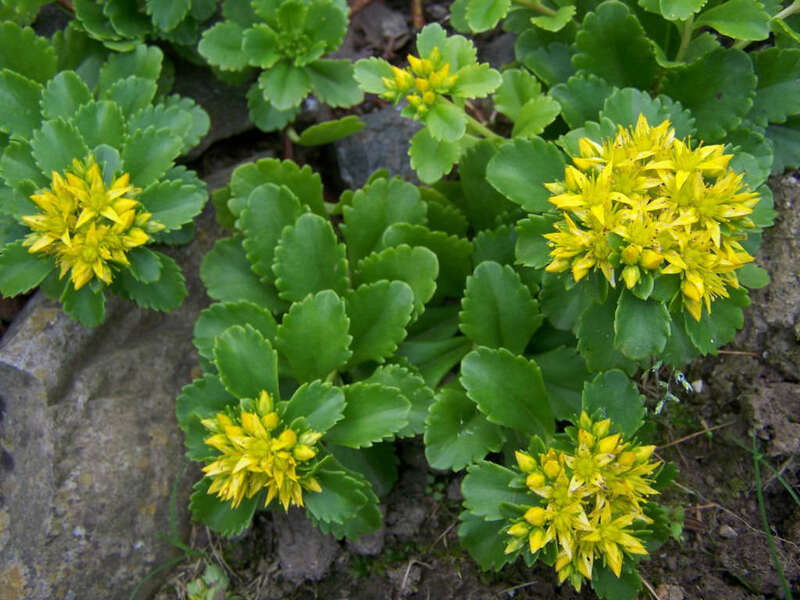 Flowers give way to small fruits which turn russet red in fall. 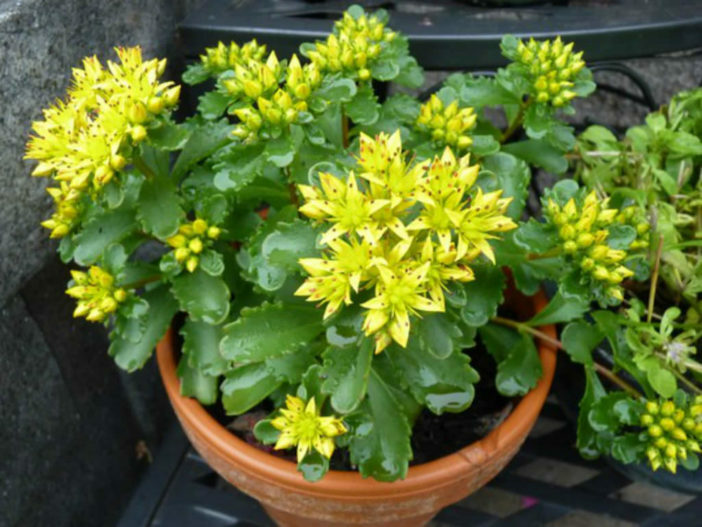 Most of the foliage disappears in cold winter months.Good choice for tubs and mixed containers. 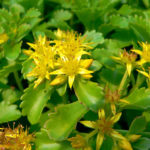 Native to northern China and along the Pacific coast of Siberia including the Kamchatka Peninsula.